My Beauty Junction is one year old today! I am so thrilled! I never dreamt that auditing my stash by writing about it would turn into a blog I am passionate about, and become a way of meeting some lovely people - thank you all for coming over and reading my blather! Anyway, I'm sharing something very special and nostalgic to mark this anniversary - a collection of vintage makeup and skin care advertisements hoarded from my maternal great-grandmother's time. 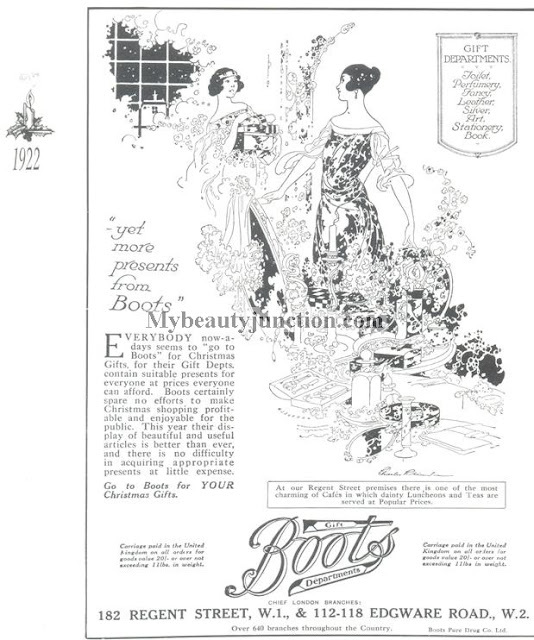 The daughter of a landlord (and later a school headmaster's wife), she bought early copies of Good Housekeeping, launched in 1922, and kept every single one. After her time, her magazines went to her youngest daughter - Gran - who was younger than great-gran's eldest grandchildren. Gran in turn hoarded the Girls' Own Paper and Heiress magazines into the 1950s during her teens and my Mum added a few Women's Own magazines to the pile in the 70s. Being a nerd whose immediate family all collect antiques, I must say I thoroughly enjoyed doing this post. 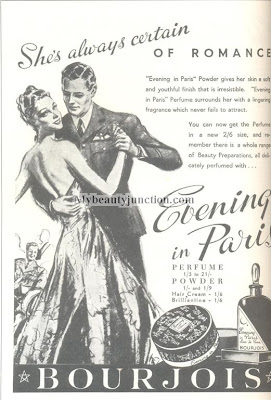 Here are some lovely vintage advertisements of makeup and beauty products from the 1920s to the 1950s from various magazines. I have picked a selection of the magazines and scanned - not photographed, Gran, calm down - some 65 of the advertisements for you. Some are yellow and tatty while others are in remarkably good condition and Gran came over to my place to supervise the scanning and to zealously guard her magazines from my greedy paws. Since it's insane to upload 65 pictures here, I'm sharing a selection and a slideshow of the rest, for those who want to see it. Some of these brands aren't around anymore but you will recognise some old friends. Please click on each picture to enlarge it. The 1922 Good Housekeeping - not the very first one, I think, but the Christmas number - is so tatty that I am not allowed to touch it. I did throw a tantrum (age and dignity be damned) to be allowed to scan this Boots advert below. 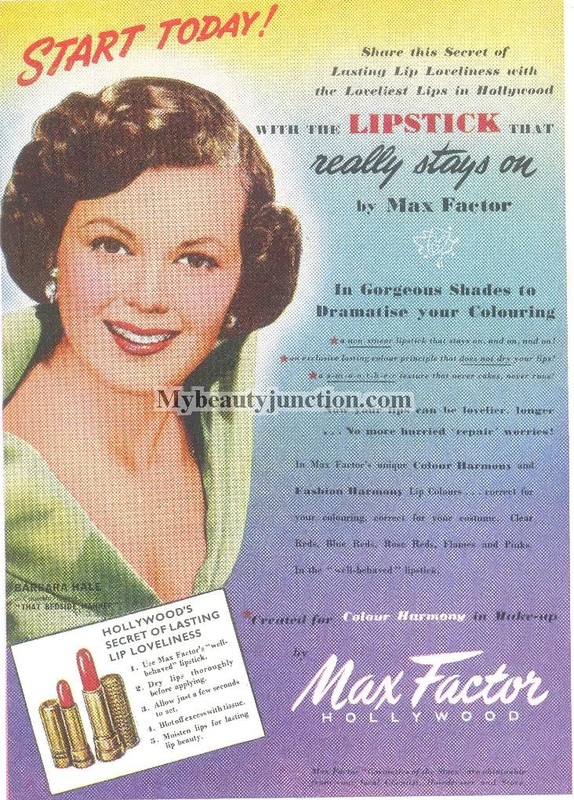 Next up - an old friend, Max Factor! There are plenty more, including several familiar brands - more than 65 ads. Do watch this slideshow for the rest of the adverts. Also, my blog was shortlisted for a blogging award run by BlogAdda! I would LOVE it if you could please vote for me by liking, tweeting and commenting on the link below (scroll down once it opens). I may not win, but don't want to come in last. Every vote counts, so please, please do help me out! It would make for a fabulous blogoversary present! Click here to vote for me by liking, tweeting and commenting. Thanks very much!